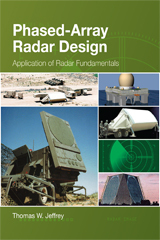 Phased-Array Radar Systems Engineering Bootcamp is a 3-day training program covering phased array radar principles, latest technological developments, software, system analysis, requirements, architecture, design and operation. Examine major subsystems and associated technologies with specialists in those areas. Participants will learn about principles and the technology of the phased array antenna and radar system engineering, analysis, design, performance and implementation, verification and validation, and operation and maintenance.